The ultimate flexibility in church management software. Manage important membership information and discover congregational trends with Church360° Members, web-based church management software from Concordia Technology Solutions. 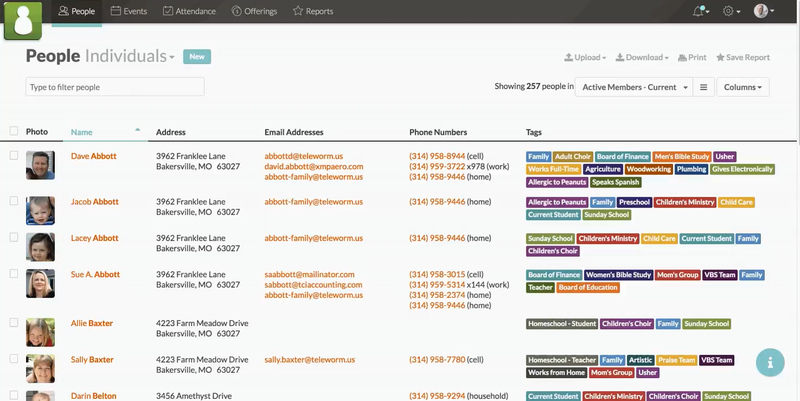 Quickly add new records and custom fields to track contact and family information, demographics, and more. Plus, sync this information with the contacts in your phone. Create an unlimited number of tags and smart groups based on dozens of criteria. Add or remove tags in bulk to save time, and use the same filtering options throughout the entire program. Track attendance for individuals or simply keep track of the number of people who attended. Alongside this, track Communion participation as well. Easily enter offerings by person or envelope number. 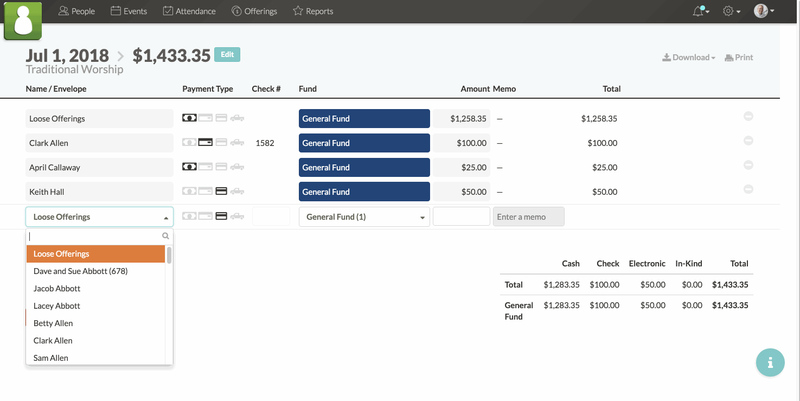 Split transactions and email or print giving statements right from inside Church360º Members. Additionally, enjoy the option of automatically syncing offerings with eGiving from Vanco Payment Solutions. Track congregational attendance and giving trends to see indicators for spiritual-care needs. Also, save calendar views for different types of events.